Not all mini-majors and independent film companies are Hollywood or even American-based. For this Mini-Major Discussion, I decided to focus on a film company that was actually based in Britain, and although it didn’t produce many films, chances are we have seen at least one ITC flick in our lifetime. Also, it may be a surprise to learn that this outfit actually was responsible for the rise of…the Muppets? ITC was a British television company founded in 1955 by television mogul Lew Grade. 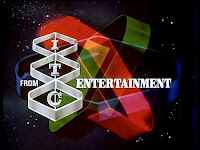 For its first few decades, the company produced many television shows for Britain, with some for an eye for American audiences such as Space: 1999, but in the 1970s, ITC branched out into filmmaking. A whole lot of British TV shows, though none named Doctor Who. American audiences may recognize names like The Saint, Thunderbirds, UFO, Space: 1999, and The Prisoner, as well as the mini-series Jesus of Nazareth. All of these programs were produced by ITC. But their best known TV show was actually produced by an American, Jim Henson. After Henson failed to get traction with American network heads to make The Muppet Show, Lew Grade offered to back the show, provided it was filmed in England. Later, when Henson decided to end the show and take the Muppets to movies, he made The Muppet Movie, The Great Muppet Caper, and The Dark Crystal with ITC. Their movie catalog isn’t very large, but it includes a few cult classics like The Boys From Brazil, The Last Unicorn, The Brave Little Toaster, and The Stepfather, as well as Academy Award winners On Golden Pond and Sophie's Choice. The Muppet Movie. It was a smash hit, grossing 65,200,000 in the U.S. alone, and was the highest grossing Muppet movie in Jim Henson’s lifetime. Runner up: The Legend of the Lone Ranger. ITC tried to reboot the iconic hero, previously portrayed by actor Clayton Moore in the classic Lone Ranger TV series, in a new feature film, but they did not want Moore, by now 65 years old, to go around making appearances wearing the iconic mask, as they wanted their actor to be identified with the role and didn’t want Moore’s appearances to confuse people that he would be reprising his role in the film. So they got a court order telling him to stop going around in costume. Which turned out to be a big, big mistake. The controversy damaged the film before release and effectively killed its chances. It didn’t help that the actual Lone Ranger didn’t don his mask until an hour and ten minutes into the film. Second Runner Up: Can’t Stop the Music. This was a musical comedy based on the rise of the Village People, which had the worst timing you can imagine. It was released in 1980, by which time disco was not only dead, but reviled. CSTM was so bad, it inspired the creation of the Razzie Awards. Jim Henson wasn’t exactly an unknown even back in the 1970s, but ITC did produce The Muppet Show and the films The Muppet Movie, The Great Muppet Caper, and The Dark Crystal, launching Henson and his Muppets to the height of their success. Steve Guttenberg got early roles in The Boys from Brazil and Can’t Stop the Music. Terry O'Quinn, for his role as the serial killer in The Stepfather. The Muppet Movie, The Great Muppet Caper, Saturn 3, The Big Sleep, Where the Boys Are '84, Sophie's Choice, The Stepfather, Farewell, My Lovely, The Legend of the Lone Ranger, Without a Clue, The Dark Crystal, The Brave Little Toaster, The Company of Wolves, Backfire, The Boys from Brazil, The Evil That Men Do, The Eagle Has Landed, Inside Moves, Capricorn One, Desperate Characters, The Return of the Pink Panther, and The Tamarind Seed. 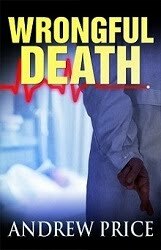 Cussler hated the movie and refused to endorse it. The film was one of two big bombs for ITC, the other Can’t Stop the Music. The box office disasters of both movies led to Grade pulling out of the filmmaking business. ITC sold Universal its distribution rights to movies still in post-production, including On Golden Pond, Sophie's Choice, The Dark Crystal, and The Great Muppet Caper. Ironically, as with Orion’s troubled bankruptcy period, some of these films would end up being some of the most acclaimed titles the studio would put out. Despite having the wind knocked out of its sails, ITC continued on for some years after, even releasing a few more films, before being bought by Polygram in 1995, and then Universal bought up Polygram in 1998. Grade would be brought into Embassy Pictures and later returned to head ITC after Polygram purchased it, before his death in 1998. So like many other mini-majors, ITC would see its library swallowed up by a bigger company. Jim Henson moved the Muppets on to TriStar and later planned to sell the Muppets property to Disney shortly before he died. After a series of middling films, Disney successfully revived the Muppets with the 2011 film The Muppets but the 2014 sequel Muppets Most Wanted ended up a bust. So what are your favorite ITC movies? (Actually, I’ll go ahead and throw in any of their television shows for the discussion, since ITC has such a big television catalog). Any other thoughts? My Dad is a Clive Cussler fan so I had heard about how much Cussler loathed Raise the Titanic. Interesting Side-note you are all probably aware of: 5 years later it was revealed that the feat depicted would be impossible due to the ship splitting into two big chunks and a bunch of smaller chunks. I was a big fan of Dirk Pitt and Clive Cussler, but yeah, Raise the Titanic was just bad. I love the Muppet Movie, though I haven't liked any since. Space 1999 was one of my favorites growing up. What a great idea! Muppet Movie phe-flippin'-nomenal, and love The Great Muppet Caper almost as much -- Charles Grodin rarely disappoints, a lesson I learned at a somewhat young age. The Evil That Men Do also features two of my favorite torture scenes, strange coincidence on their respective zones: Chuck Norris' nutcracker, and the villains attaching electrodes to a guy's nertles before lowering him into a pool of water. I pretty much grew up watching The Great Muppet Caper... it was just one of those movies that was constantly on. Oddly enough, I never saw the original Muppet Movie in its entirety until years later. Andrew is pretty much the president of the Capricorn One fan club. :-) Once in a blue moon, I'll read rumors about a possible remake and it doesn't bother me that much in this case. I'd love to see how they get around the big plot hole: all of the astronaut's communication (except for the live broadcast) is taken from the test simulations, but what if someone wants to ask them a question which requires an answer not recorded during the simulations? (One possible solution would be to simply suggest all the flight personnel are in on it, so they'd know better. The Boys from Brazil is another one that could be remade without offending too many people. The idea is brilliant, but the film itself is a little silly at times. And Laurence Olivier seems to be channeling Get Smart's Siegfried on one or two occasions! I rented a Space: 1999 VHS of the pilot a few years ago. I liked it. It had a mysterious, moody quality. I’ve been meaning to buy the rest of the show for some time, just one of those things on my to-get list. I’ve never seen Raise the Titanic. I did see Sahara, but I can’t remember much about it! I guess that doesn’t bode well if it’s so unmemorable…ha ha. It feels like the glory days of the Muppets died with Jim Henson. Just about everything that people remember and love about them, like Fraggle Rock, the first few Muppet movies, The Muppet Show ,The Dark Crystal, Labyrinth, and the TV show Dinosaurs (made after Henson died, but the idea originated with him) came from Henson’s lifetime. Have they done anything memorable since? Probably Farscape and the Neil Gaiman movie Mirrormask. ScottDS: I wonder if it’s any longer feasible to do movies about remnants of Nazi Germany that have escaped and are in hiding, as World War II is now over seventy years old, unless you backtrack the story’s setting a few decades. Scott, I should be the President of the Capricorn One fan club! Also, that's not a plot hole. They are broadcasting live (they aren't using recordings), but they are doing it from Texas, which is how Elliot Gould's friend figures out something is wrong -- the signal wavelengths are wrong. Jason, Today the "Boys From Brazil" would need to involve attempts to clone some North Korean because they are the only acceptable enemy, and that would be really, really, really, really, really, really, really pathetic. For much of the flight, and in particular during the launch when the astronauts have not yet been informed of the deception, we're told their voices from the spacecraft are simulated by recordings that were made during the practice simulations. This trick would stop working as soon as anything was said to them requiring a reply that had not occurred in the simulations, or as soon as they had any quiet time and would naturally be expected to chat about their present experience. Perhaps the person who submitted this was in error...? Andrew, probably, but they did manage to shove in Nazis in place of Palestinian terrorists in The Sum of All Fears flick, so I don't quite rule Nazis out! ScottDS, I would hope they'd stick with the source material, but Hollywood's notorious for trying to "update" things. Jason, Hollywood does seem capable of finding Nazis everywhere. Interestingly, they never could find a communist. Jason, I knew I recognized that logo, though I couldn't put my finger on any movies under the label. On that note, I grew up with the "The Great Muppet Caper." True story: in the age before my family had a VCR, the show seemed to air every night we had pizza for dinner. Was someone (else) watching...? To build on Kit's comments regarding "Raise the Titanic"...well, in defense of the premise, we didn't know if the ship had broken up or not by the 1970's. Half the witnesses interviewed in New York and London in 1914 thought it did; the other half either believed otherwise or weren't sure. Plus, oceanographers in the 1970's knew very little about the ocean's abyssal plain (roughly 13,000 ft down). Some assumed it would be too cold for metal-destroying bacteria to exist and thus rust the ship away. (Heck, even today scientists admit we know more about outer space than we do about our own oceans!) These two loopholes form the basic idea- plugging ship's holes and filling it with compressed air while tugging it upward with balloons- the film is based on. Honestly, I haven't seen the movie, but it sounds like a wasted piece of great material. Not only is the raising of the boat based on the latest science of the time, but the overall premise- Titanic was allegedly carrying a load of rare minerals mined in that, in 1980, could be used to complete a pre-'Star Wars' style energy field generator that could protect NATO countries from a Soviet missile attack, hence the need to raise the Titanic- was rather prescient, given the eventual foreign policy and defense plans of the Reagan Administration. Anyway, here's the trailer, starring a hairsuit National Security Adviser Jeffrey Pelt and a beardless Obi-Wan Kenobi. Also, on "Boys From Brazil," I will agree with ScottDS that the idea is brilliant, but only in terms of science fiction. My high school biology teacher showed us the part where the cloning method is described. It got just about everything right, even if cloning was still theoretical and twenty years away at the time. The other problem, recreating someone's personality by meticulously recreating their life experiences is also thought-provoking. Could it work? That's one heck of a question. Most SF films today cheat the audience by having personality and memories encoded on the DNA (scientifically impossible, from what I've read). This makes it a real question of science, humanity, and ethics, things most films of today wouldn't dare touch. The other idea, of underground Nazis building the Fourth Reich with cloned Hitlers, well...ha, ha, HAAAAAA!!!!!!! As a history major in college, few movies made my professors laugh harder. ("Apocalypse Now" being one of those exceptions.) By 1978, the real Joseph Mengele had been running across the globe to avoid capture. Living under assumed names and always on his toes to run at a moment's notice, he didn't have time for an experiment like this and definitely wasn't living on some remote hacienda with an army of servants. The real Mengele was also a medical doctor, with little (if any) psychological training. (His main interest during WW2 was experiments on twins.) And given that his doctoral essays were all about the genetic differences between Aryans and non-Aryans, his medical credentials were questionable on a good day. I'd say he's only in the story because of his notoriety. Also, the notion of former SS still obeying their oaths 30 yearsw later is another laughing matter. As one historian put it, they were too busy trying to avoid capture or just not being assassinated to worry about still being good Nazis. Rustbelt, Raise the Titanic was a fantastic book and was one of Cussler's best. It should have made an excellent film, only they did it all wrong and sucked the intrigue and joy out of the film. Andrew, I'm going to have to get a copy of "Raise the Titanic" and read it and then watch the film to see just how everything went wrong. And I generally like movies featuring the late Richard Jordan. Not to mention I actually liked the score music in the trailer. They must have really blown it. I've never seen Raise the Titanic but I've heard the stories about its release. (And it's apparently lovely John Barry score!) They could do it today as a big summer blockbuster... but then again, James Cameron's Titanic, while almost 20(!) years old, would still be the benchmark by which any Titanic-related film is measured. Rustbelt and Scott, The book was fantastic. Dirk Pitt is like James Bond only American. And the stories typically involve something very unexpected happening in the past (like the real Lincoln surviving the Civil War), and then Pitt uncovers this as he gets involved in some underwater salvage operation. The books were very creative... until they became formulaic. Anyways, when you read Titanic you imagined a Sean-Connery/Bond like character spying on land combined with underwater scenes of a quality and feel like The Abyss or Sphere. But when you got into the movie, neither part felt right. The land stuff just never felt tense and the underwater stuff felt cheap and fake. It felt more Irwin Allen and so it just never measured up to expectations. 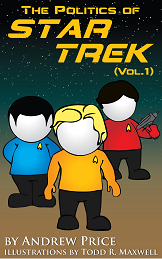 BTW, If you want to read a cool story, read Night Probe. That's an awesome book with a really cool idea behind it. You had me at the comparisons to Sphere and The Abyss! 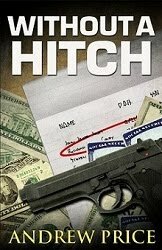 I've been reading Michael Crichton's earlier work that he published under the name John Lange. All eight novels have been re-released with cool "pulp" artwork. I've gotten through the first two—not as polished or thought-provoking as his later work but you can tell there's talent. Scott, That would be cool. I haven't read many of his books, but I've heard really good things about them. I would like to see Terminal Man made into a movie. It actually was back in the 70s but I've never seen it and the DVD is only available through WB's Warner Archive program. I saw it as a kid but kind of liked Raise the Titanic. I haven't seen it since though. I have read some of Cussler's later novels but I found them boring.